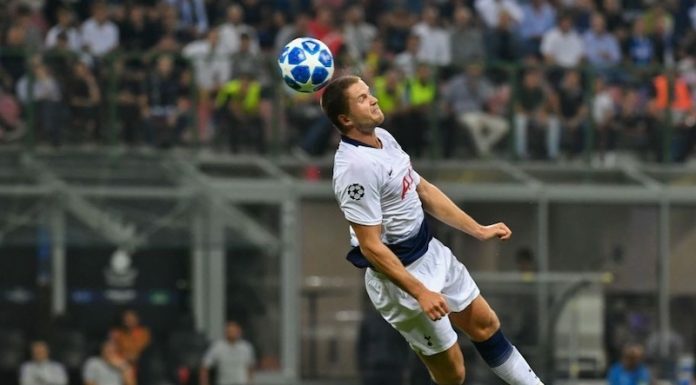 Tottenham star Eric Dier will play in the middle of a back three in England’s upcoming friendlies against the Netherlands and Italy, according to the Telegraph. England face Holland on Friday and Italy next Tuesday in two key warm-up games ahead of the World Cup in Russia this summer. And Gareth Southgate is set to use the friendlies to experiment with different formations, including three at the back. Dier, who has mostly been deployed in midfield for Spurs this season and in recent appearances for England, will apparently play in between John Stones and Harry Maguire in defence. The Three Lions have looked laborious when Dier partners Jordan Henderson in midfield, so maybe it’s a good idea to drop the Tottenham man into the back-line. Reported Spurs target Alfie Mawson is also in the squad – it will be interesting to see if he is selected alongside Dier at some point over the international break. Danny Rose, Kieran Trippier and Dele Alli make up the rest of the Tottenham contingent, while Harry Kane misses out through injury.